Making music with the Youth Ministry team. AN IDEA birthed at the announcement of the Year of Youth two years ago is now bearing fruit for regional dioceses around Australia. Particularly so with a youth team led by the Missionaries of God’s Love (MGL) Sisters travelling to three remote dioceses in 2018. 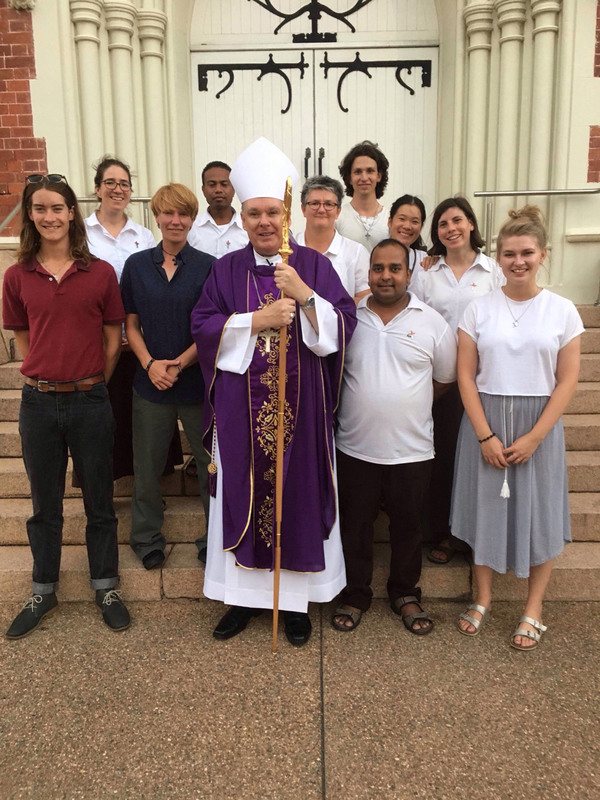 Three MGL Sisters – Therese Mills, Bernadette Toohey and Amy McCabe, two MGL Brothers – Buddhika Perera and Nelio Dos Reis, as well as five lay young people – Jess Bond, Xavier Direen, Aodhan Kirk, Larissa Lagas and Nathlene Ng, have been based in the Diocese of Townsville since March. The team has assisted with local youth engagement initiatives and youth leadership training within schools and parishes, with plans to move to the dioceses of Darwin and Port Pirie for three months each for the remainder of 2018. 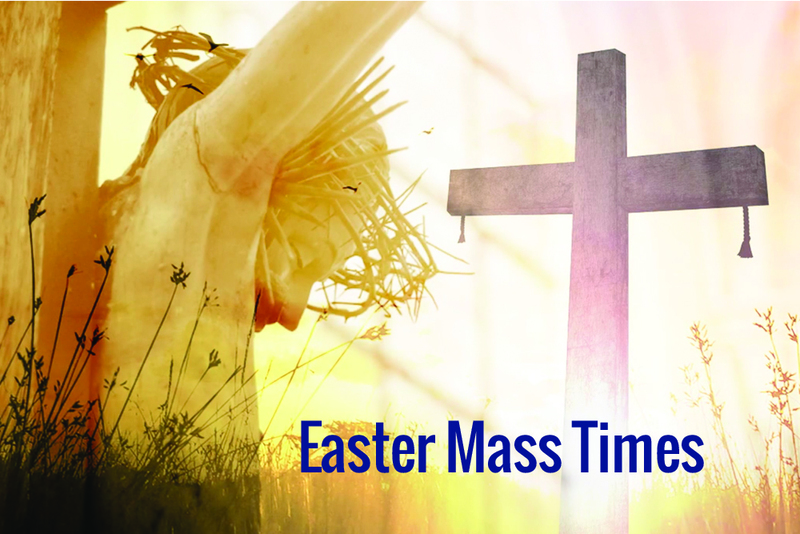 The Sisters felt inspired to reach into regional dioceses after the announcement of the Year of Youth came amidst the 2015 Australian Catholic Youth Festival in Adelaide. “Much of our work at the moment takes place in the context of city Youth Ministry, where there are large youth offices and ample opportunities for youth engagement,” Bernadette says. A number of lay young men and women have responded to the opportunity to volunteer on the team for nine months, motivated by the opportunity to meet young people in rural parts of our country and participate in the Year of Youth in a meaningful way. For Aodhan Kirk, 19, the chance to serve within the Church in Australia was a large part of his decision to join the team from his home town of Murrumbateman, NSW. 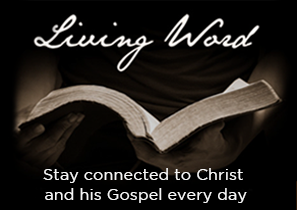 “After doing missionary work overseas I really had a sense of the need in my own country to bring Jesus to people and the challenge that presents and I got excited about that,” he said. “The opportunity to see and minister to many parts of the Australian Church within the Year of Youth was something that sat well with me and that I saw as a really awesome opportunity. 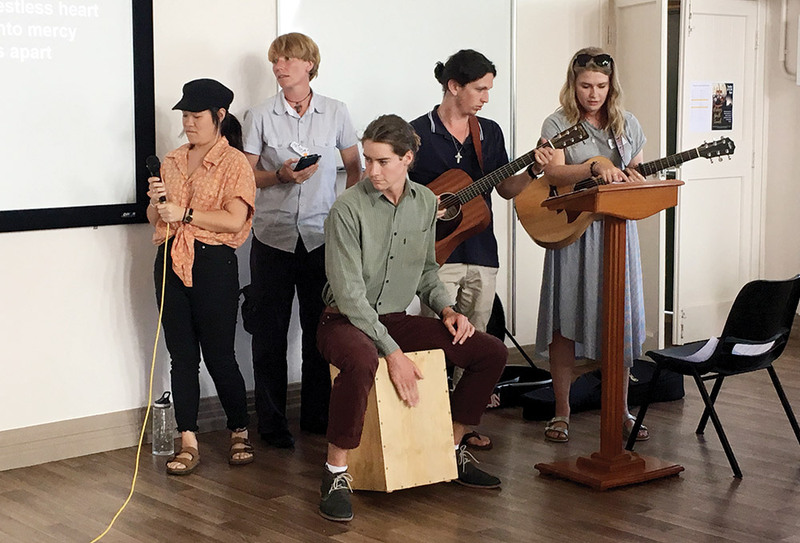 The team members are enjoying the opportunity to forge authentic connections and see the Holy Spirit at work in a range of places around Australia. “We are very aware that the places we visit are each flourishing in their own way and have a uniqueness and giftedness already present,” Therese, who is leading the team says. Aodhan Kirk (far left) pictured here with the ministry team and Bishop Timothy Harris (middle). An important element of the Sisters’ work in each diocese will be connecting with Indigenous young people and communities. “It is part of our charism that we are drawn to work with our Indigenous brothers and sisters wherever we go,” explains Therese. The Sisters have previously worked with elders and school students within the Diocese of Townsville and enjoyed the opportunity to return during the Year of Youth. During their time in the diocese, the team has built strong connections with St Patrick’s College, Townsville, as well as Abergowrie College, Ingham, two boarding schools with Indigenous students from some of the remotest communities in the country. “It’s been a highlight to work with these young people and engage in the richness of their culture and the depth of their faith and spirituality,” says Therese. The team has also assisted in running secondary school retreat days, working with the Diocesan Youth Leadership Team and offering training and formation for a team of Youth Engagement Officers, who have been selected by the Catholic Education Office to maximise school students’ engagement in the Year of Youth. The team will be in Townsville to witness the key event for the Year of Youth, a day with US-based singer Jesse Manibusan, which will attract youth from all across the diocese, before travelling by road to Darwin this month to begin ministry there. The hope of the team, and those with whom they are working, is that a difference will be felt by the contribution they are offering. “I guess it’s that old adage that if it makes a difference to one person, one group or one youth minister, then we will have met our goal,” reflects Bernadette. “We’re part of an incarnational faith, so in our experiences so far of coming into someone’s home diocese, parish, school or youth group there’s been an incredible sense of having the opportunity to meet people, walk with them for a while, listen and become connected. 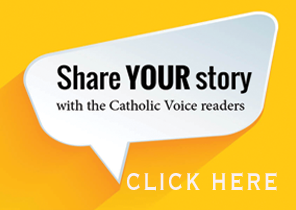 The original article was first published by Melbourne Catholic May 2018 edition and is used with permission.